eGov AU: DTO launches preview of gov.au vision - but is it the right vision for Australian needs? DTO launches preview of gov.au vision - but is it the right vision for Australian needs? The Australian government is again looking to reshape its entire digital presence, through creating a single .gov.au site that will somehow negate the need for people to understand how government works in order to engage with it effectively. I know there's a lot of good people who really see the idea of a single online portal as being a solution to the problem of finding the right government information and services and I respect the work the DTO is doing to pursue this. However, there's some key challenges in this approach that I feel keep getting overlooked. Firstly, the primary problem with engaging citizens is not government websites, it's government cultures. Government is split into hundreds of departments, agencies, statutory authorities and government-run corporations, Each has a separate purpose, separate objectives and many have different reporting lines to Ministers. Each of these entities has developed its own culture, and in fact in the larger entities there can be different cultures across business units, and each of these cultures and business units has its own experience and expertise in carrying out its business goals. While government doesn't explicitly compete in the market, in most cases, it does compete internally for resources - staff, dollars and attention. This isn't simply between business entities, but also between business units within each entity. If you liken government to a closed ecosystem, where every gasp of air, drop of water and morsel of food is fought over, where business units and agencies succeed or fail based on their capability to attract resources and outsmart their competition, you would not be far wrong. Of course, within this ecosystem there's still collaboration and cooperation. in many cases two or more agencies can work together to attract more resources than one operating alone, then can have more controlled internal battles over who gets how much. Collaboration and cooperation is sometimes forced on agencies from above - through Ministerial decisions and legislation that creates both perfect marriages and odd couples that claw at each other but are unable to untangle themselves. This culture is influenced by the government of the day, and can undergo rapid transformations when governments change. While this used to occur on average every decade, a manageable timeframe, in the last ten years we've seen five switches of Prime Minister and many agencies have had a dozen or more different Ministers - which creates enormous disruption and, eventually, change fatigue. The impact this has on the concept of a single portal for interacting with government is that there's a constant need for agencies to adjust their brand presence and offer to citizens and businesses, as their cultures evolve and governments alter their purpose or resourcing. Having a single portal does nothing to address the cultural challenges across government agencies and, until these are addressed in a holistic and sophisticated way (with support from both political and public sector leadership), the single portal is likely to become a victim of the cultures. There will be agencies that refuse to be part of the single portal because it doesn't match their cultural approach, and agencies that work around it by either outsourcing websites to third-party providers or simply keeping creating websites that they can control to meet their individual objectives and mandated goals. Another major issue is managing a single online presence when all the parts of government are changing so quickly. Every time governments change, Ministers change, priorities change laws change and the environment changes, departments and agencies must also change how and what services they provide to the community. 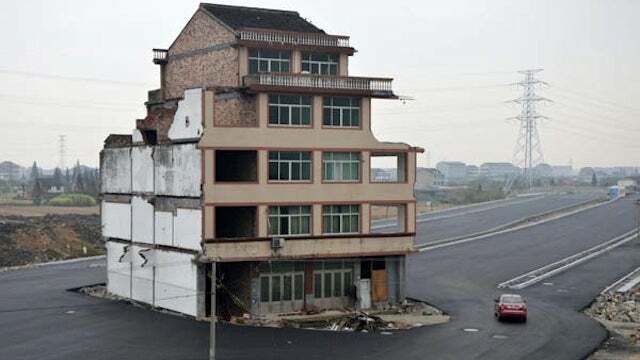 You could think of this in terms of road building (but for Australia's future), with the Public Service being the labour force building the roads and the Government (Prime Minister and Ministers) being the architects and visionaries deciding where the roads need to go. We have a situation where the public service has diligently built the roads they've been directed to build. 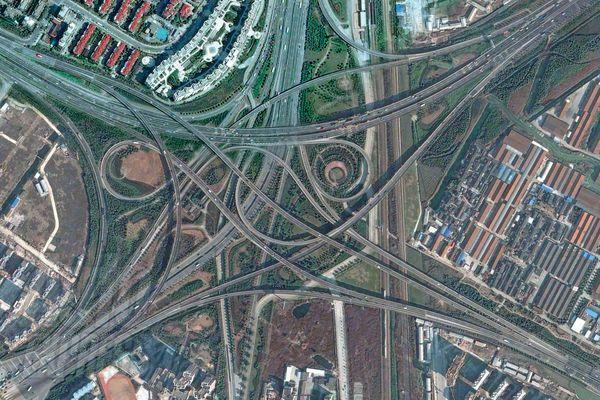 However with changes in governments, Minister and priorities they have had to change direction, ripping up past work and repurposing building materials for new approaches, so many times in the last ten years that Australia's transportation system now looks like the road systems illustrated to the right (both are examples from China). And it's continuing to get worse. Given how rapidly government entities are changing, and how they each have different types of relationships with the public and business community, the idea of a one-size fits all website is appealing as a way to simplify and normalise government-citizen or government-business relationships. Having a single button that citizens can press to ask for any government service would be fantastic for citizens, but it hasn't yet been realistic via any channel to-date. Government hasn't managed to establish a single phone line or shop front for government services due to the range, complexity and different requirements needed for different interactions. Increased speed of change only makes this harder. A single portal can centralise the cost of change, but also amplify it - creating new bottlenecks when agencies are required to change directly, reframing and reshaping their service offerings and engagement with the public. Magnify this by connecting federal with state and even local government services and the work required to provide a single portal becomes extremely complex and prone to expensive failures. Even if the DTo manages, somehow, to herd all the federal cats, bringing on state services (which are integral to many customer journeys) adds a new layer of challenges. Both NSW and Victoria have publicly demonstrated their willingness to go their own way on digital transformation, and other states have done so in more subtle ways. Herding those cats both at a political and public sector level is a task the DTO is not resourced to do. Next, I haven't seen a real demand for a single portal from citizens. In fact most people would prefer not to engage with government at all. Simplicity isn't the same as a single portal. It's a solution that may not match the problem. Not every citizen wishes to go through the same process when engaging with government. One size fits all is as flawed for citizen needs and preferences as it is for government services themselves. Many citizens deal with one agency specifically and have built a strong relationship with that organisation and the user experience it provides over many years. Changing that experience by pulling it into a single portal may (and that's only a may) offer long-term benefits, but there's a national change program needed to inform and retrain users, and a great deal of short-term pain incurred both at an agency and political level - and that's excluding the personal pain that individuals may face if they find the new process harder than the old, simply due to the process having changed. Of course we intellectually want governments to take on short-term pain for long-term social benefits, but at a personal level many individuals will resist any change. This can lead to significant political pressure and can, and has, made it difficult for governments to take a long-term view - even where governments, Prime Ministers and Ministers are in office for longer than a few years at a time. Our current political environment suggests that our politicians are not prepared to look long-term in areas that affect election outcomes, even where our public service is. This in itself could kill the single portal concept, as politicians realise that disgruntled voters might not support them at the next election. Finally, the technology underpinning the web doesn't self-select towards single central sites. Yes it does support huge directories, like Google, which allow navigation of billions of sites and it does support 'one thing' concepts - such as YouTube (videos), Facebook (social networking) and Amazon (buying stuff). It is not conducive to single sites that offer a huge diversity of services, as a government provides. The underlying structure works better through allowing services to be accessed across many sites, connecting them using APIs rather than squishing them altogether as a single website at a single domain. In my view it would be far preferable for the DTO to focus on building out a whole-of-government API strategy, supporting agencies to offer services, interactions and content through API-based approaches which can then be connected together or embedded in sites where they make sense. On this basis it's easy to connect the bike shop scenario the DTO proposes - registering a business, getting a Tax File Number and GST registration. Each would be separate service processes, able to be offered in aggregate by accountants, lawyers and government agencies via their websites by simply combining a few APIs to create a larger service. This broadens the scope, making it easy for state and local governments to add their services in as well (permits and registration), as could private companies - such as real estate agents (for premises), equipment providers (for bikes to sell), utilities (internet, power, water) and a range of related business services that the bike shop may need. This scenario sees government moving away from a 'single portal' concept, to a 'many doors' approach, where the public and businesses don't need to go to any government website to access necessary government services or transactions. APIs fit the model of the web - a single portal to rule them all does not. So while I commend the attempt to build a single portal for government, I question whether the approach will deliver any real benefits, outside a few announceables for Ministers. In a perfect world, a single portal for everything government related may be ideal, It's the perfect dream, a unicorn wished into existence. Our world isn't perfect. It's messy, inaccurate and changing fast. Can a one-size-fits all approach keep up? Governments that wish to evolve service delivery to match citizen needs need to look at ways of unlocking their services for innovation, letting other agencies, other governments and the private and not-for-profit sectors integrate their services into logical and iterative user experiences. Unlocking innovation by unlocking government services through APIs offers a far more flexible future than locking agencies and services into a one-size fits all portal. What accounts for Australia is true at large for Germany as well. Looking for new approaches that enable positive progress for society is something we are as modern societies are in need. Many of the current processes between citizens and governments and their various agencies are put into rigid frameworks that may have been (and still are to some degree nowadays) useful when invented and installed. However living in a connected world, it makes little sense to insist to run communication still via phone and written letters, communication flow time to slow down compared on how instant one-to-one communication is possible elsewhere (e.g. the social web). There will be no information flow connect between different agencies, whatsoever. Privacy and data issues are the highest value! Has progress stopped completely, or are we missing something?